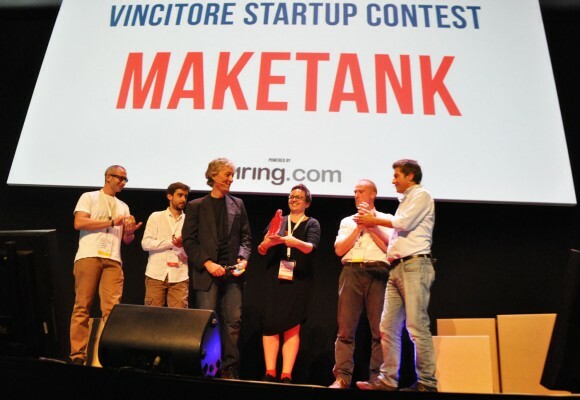 It is with great pleasure that MakeTank accepted the prize as best startup at Maker Faire Rome in the Techgarage pitch competition. 20 startups from around Italy (and a few from the UK) were chosen through a pre-screening process as the Barcamper (a mobile home) traveled down the country, meeting Makers. These finalists presented here at the MakerFaire: a 5 minute pitch each, in front of a packed auditorium full of investors, journalists, bloggers and of course Makers. The vote was by the public, who called a number to pick their favourite startup. 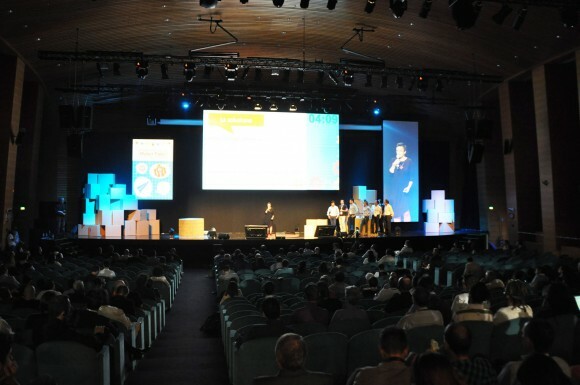 After winning the first round, Laura De Benedetto, co-founder of MakeTank, moved on to the finals as the only woman on stage. 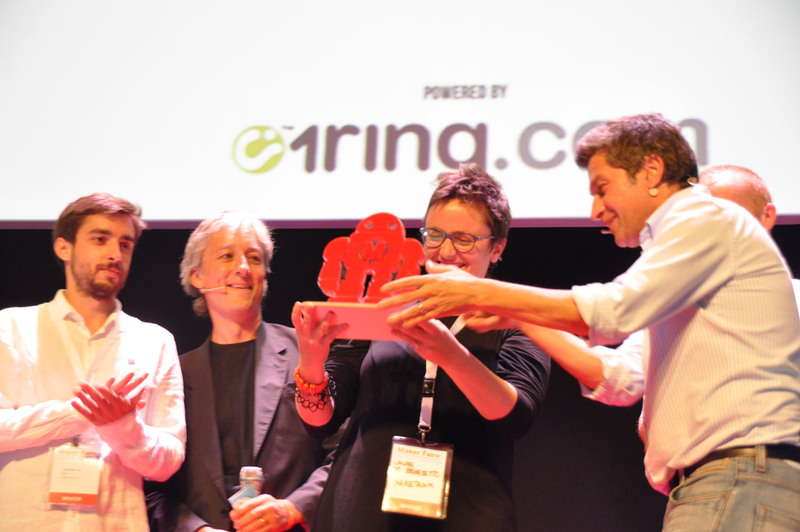 She received a large Maker Robot trophy, made by the digital artisans at Roland DG, from the hands of Riccardo Luna and Gianluca Dettori. 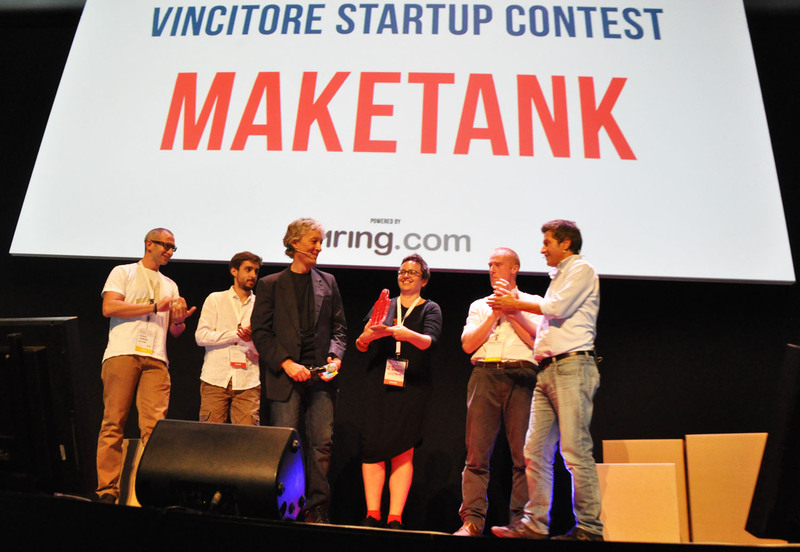 “Winning this prize,” says Laura De Benedetto “confirms that MakeTank provides a much needed service to the world of european makers: the ability to have a shop of their own amongst others dedicated to innovative products."